Skybus LLC/ Global GSE stocks a variety of heating units. If you do not see what you need here, please contact us as we have new stock arriving weekly. 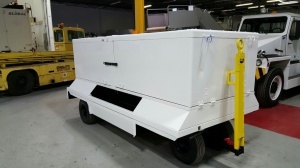 We have several Aircraft heaters in stock, both gas and diesel powered up to 400,000 BTU. We often carry various makes including Cold-Buster, Air-A-Plane, Engineering Systems, and Herman Nelson.